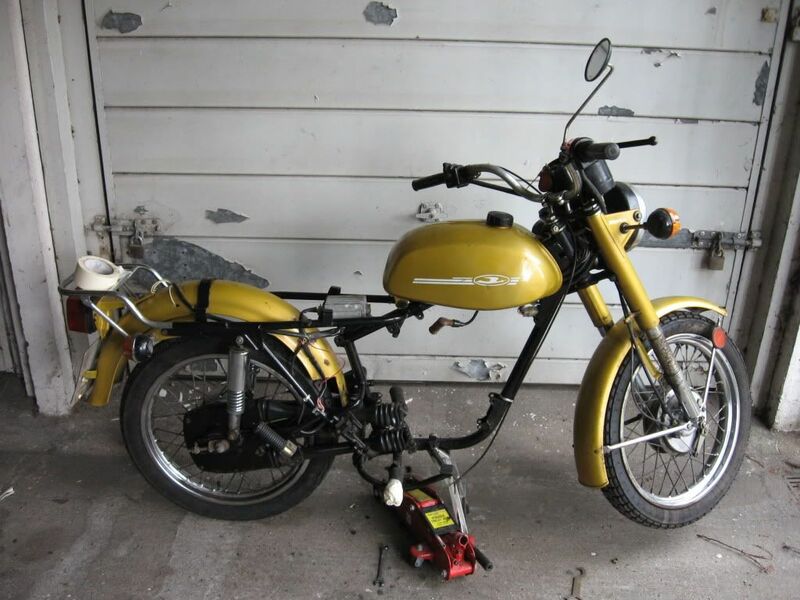 it sounds like a fuel proplem so if the carb is clean and no blocked jets that leaves the tank, fuel tap,and fuel pipe.so it might be a idea to make up a spare tank and pipe and see if it runs.also fuel goes off after time so fresh fuel will help. Oh yeah, I should have mentioned I flushed the tank out several times with each with fresh petrol, white spirit & parafin and put a gallon of freshly premixed 25:1 fuel (as recommended for running in a new / recon engine apparently, so it says in the service manual). There is a piece of gauze filter in the fuel tap which I removed & cleaned. I also replaced the fuel pipe that runs from the tank tap to the carb because it was split in a few places & weeping fuel. 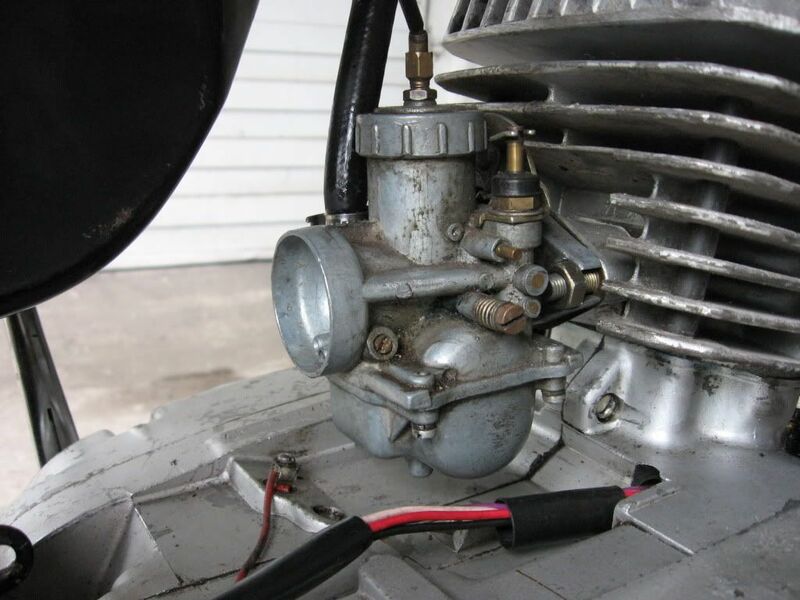 I'm betting there is still some gunk floating around in the carb so I suppose I'm looking at stripping that down, but more thoroughly this time. 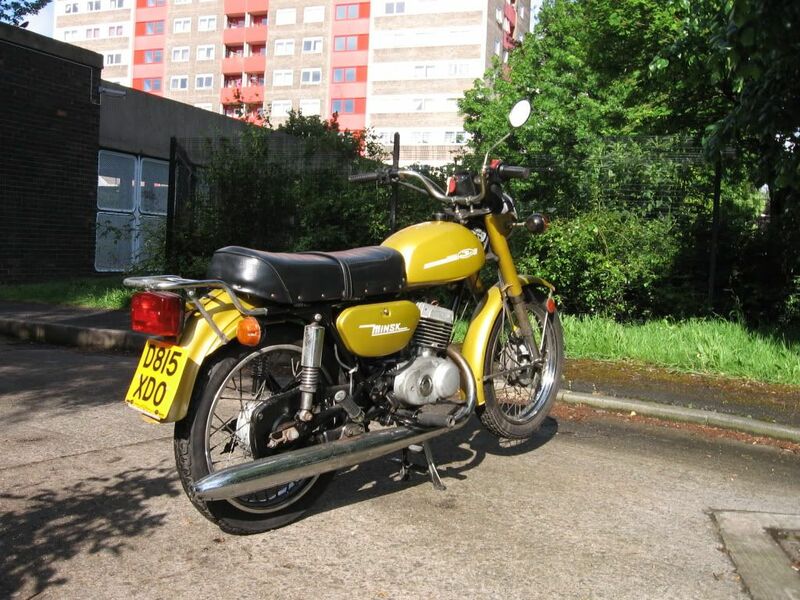 If I have more problems afterwards I might have to bite the bullet, spend some hard earned £££'s & send it to one of those carburettor reconditioning places. 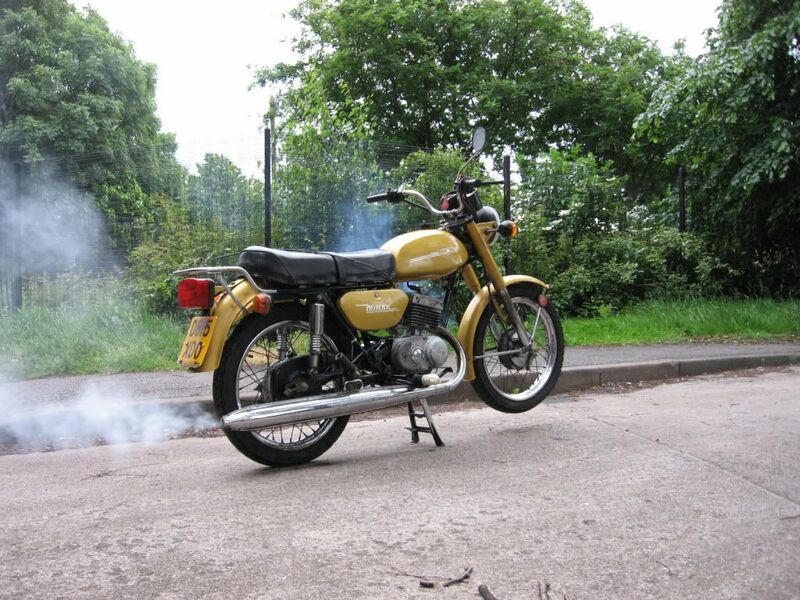 Hi all, just wanted to recap on what I've been upto on my bike as my timeline is somewhat out of kilter now. 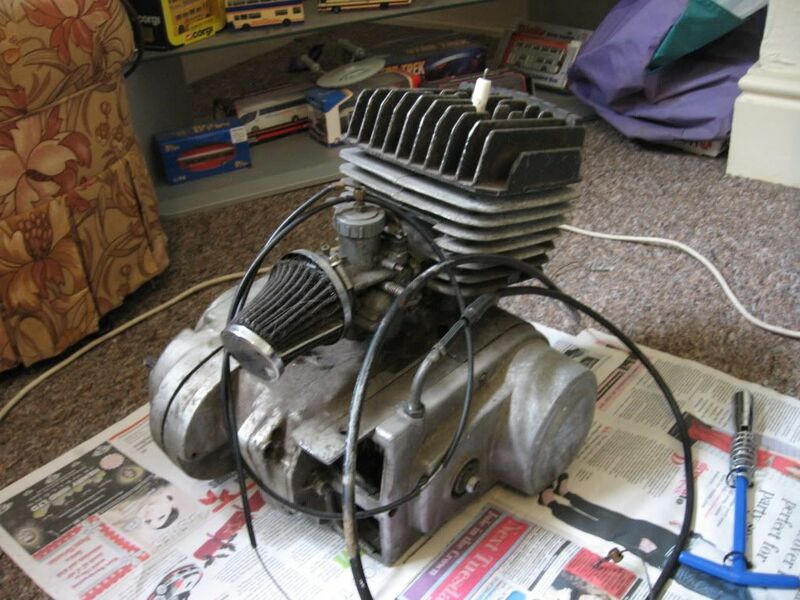 Back in November '11 I stripped the engine down (without removing it from the frame) and fitted a new piston (old one had a nasty crack up one side), new rings & new gaskets. 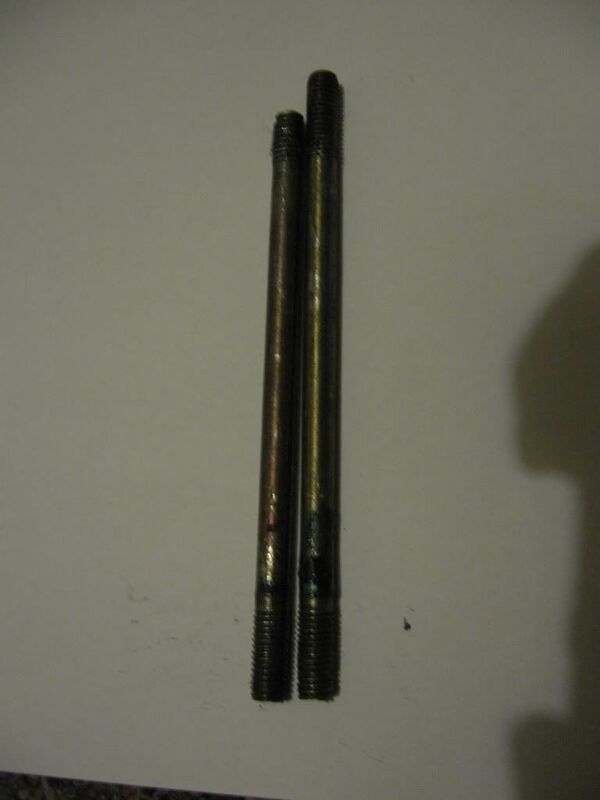 Unfortunately, at the final stage of reassembly; screwing the cylinder head down on top of the cylinder, one of the four threaded mounting posts the head is screwed down with snapped (see pic, left bolt). 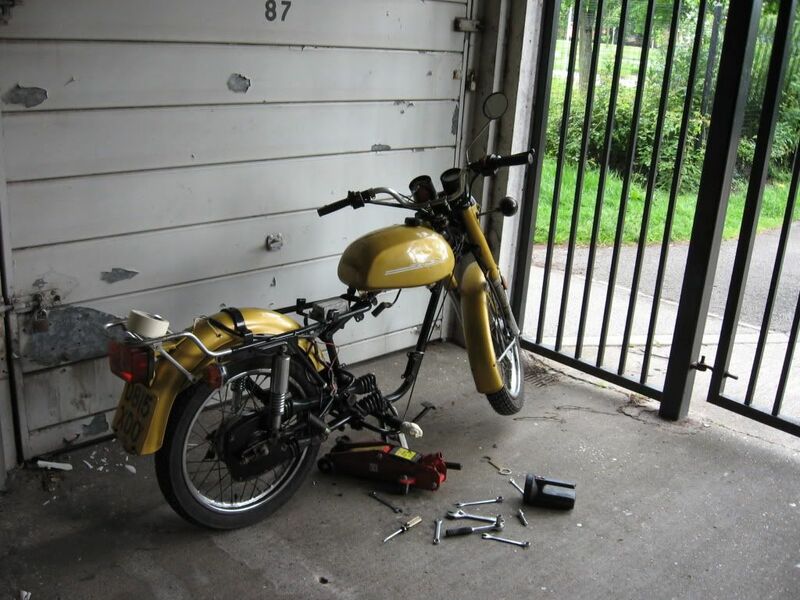 From late Nov '11 to May this year, progress on my bike had been pretty much nil due to working away a lot and work to the 205 taking priority in my free time, but being home from work for 2 weeks off I knew I needed to pull my finger out & get cracking with it. 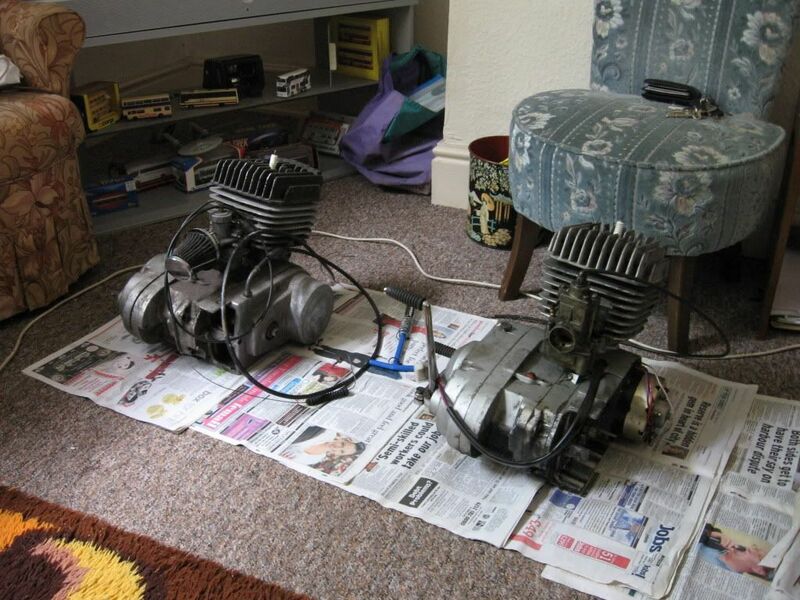 I completely removed the engine from the bike (which took all of 10min) so I could clean the frame & those hard to reach places and to work on the engine at home, which was where the spare engine was. I removed the cylinder head (again) and replaced the snapped head bolt with one from the spare engine. 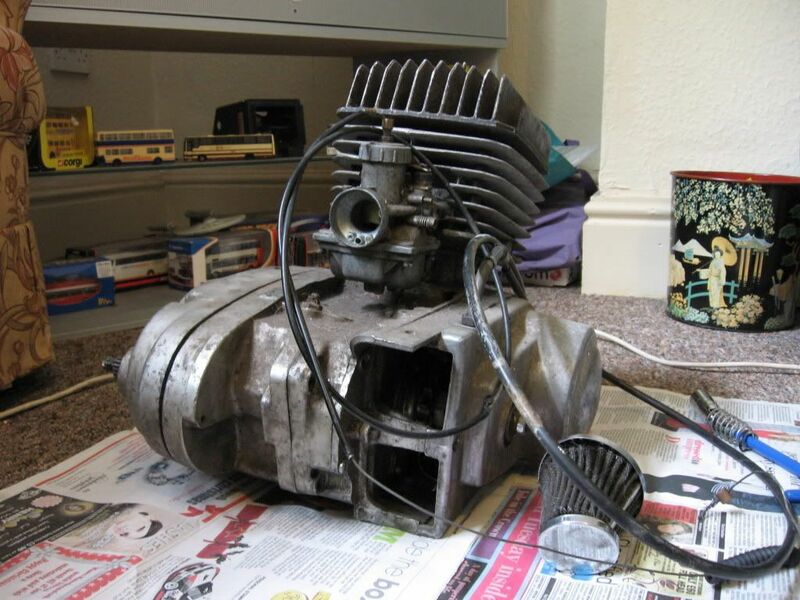 After replacing the head I gave the engine casing a good clean with white spirit. 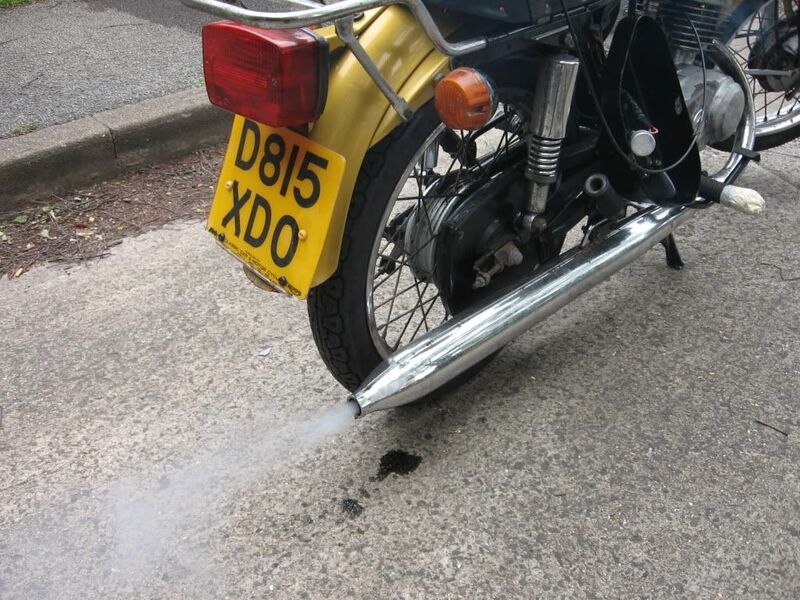 I also removed the fuel tank from the bike as there was a lot of crusty, dried oil stuck to the bottom of the tank. I flushed it out as best I could first with white spirit and then with parafin. 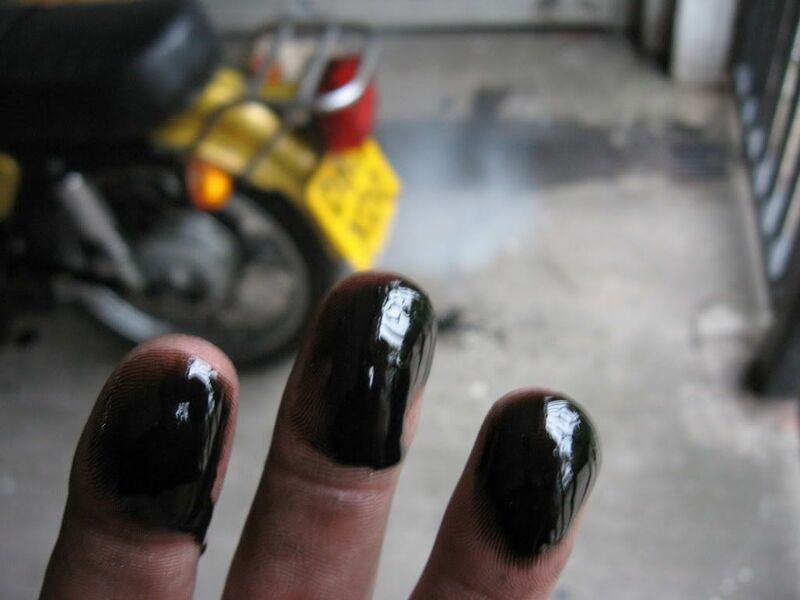 I then went on to clean the fuel tap. I read in the manual that there was a very fine metal gauze filter inside which are easily clogged up. Mine was no acception, but along with various bits of dried oil & black gunk there where some gold paint shavings - I'm guessing overspray that managed to get inside the tank from when they painted it during manufacture or perhaps paint chipped off the filler neck by metal fuel pump nozzles. Finally, I drained the gearbox oil (only 500ml capacity), replaced the sump, filled & swilled with neat petrol (as recommended by the owners handbook), drained again, allowed to dry then filled with some fresh gear oil. The owners manual was very vague about exactly what grade of gear oil should be used, only stating, '....replace gearbox sump and fill with appropriate oil.' so I purchased a fresh 500ml bottle of EP75w90 semi synthetic hypiod gear oil & tipped that in. 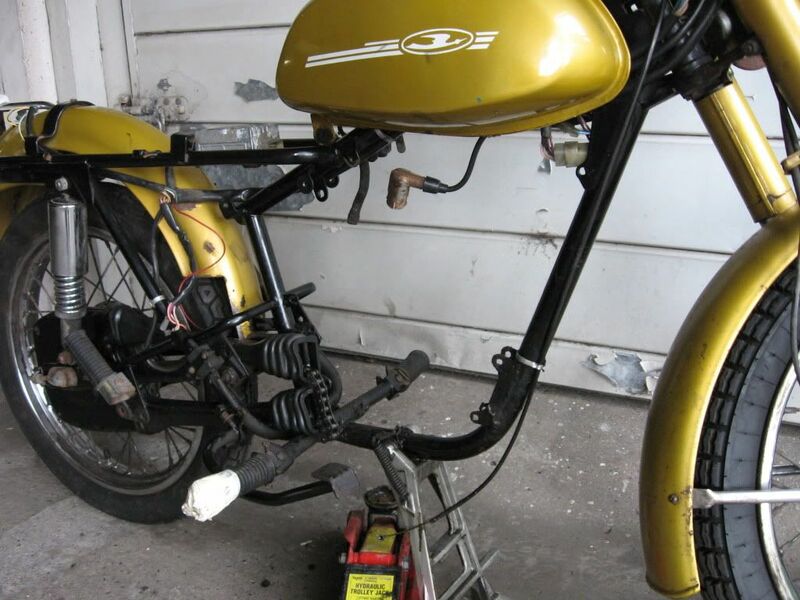 As the design of this bike, especially the mechanical side of things, had hardly changed from the 1950s, I expect if I was to fill the gearbox with a tin of Tate & Lyle it would probably wouldn't harm it. Unfortunately the bike conked out about 40 seconds later. 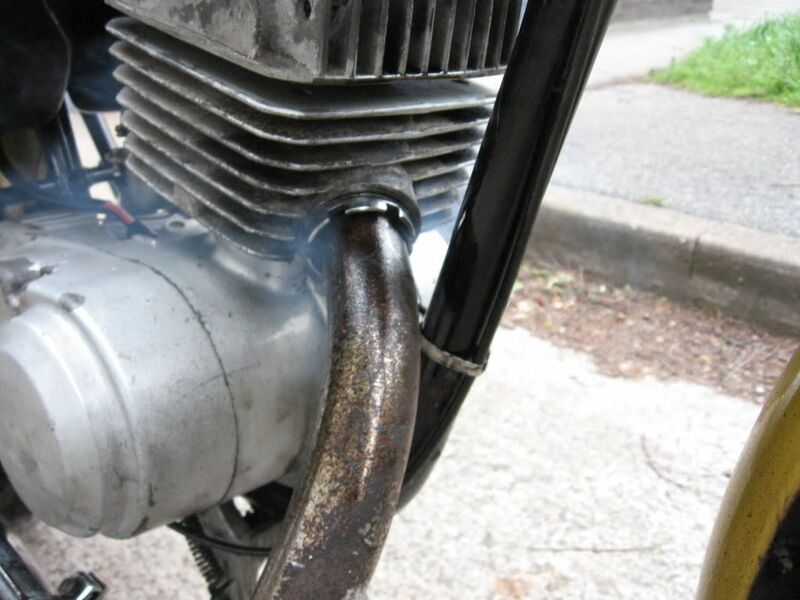 Cutting an allready long winded & boring story shory, the bike would refuse to start without either a few drops of pertol down the spark plug hole or a squirt of carb & choke cleaner in the air intake. When it did start after doing either of these things it would quite happily rev and tick over for about 40secs before dying again. 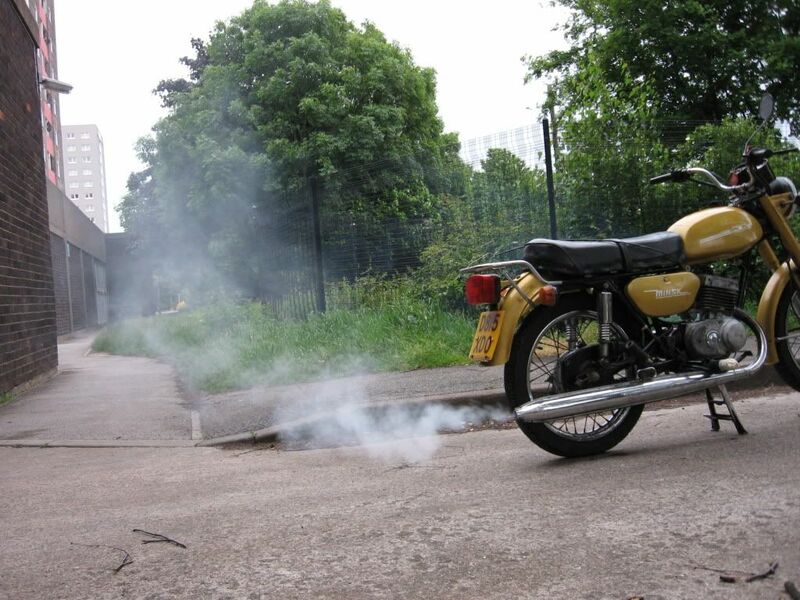 Its a 2 wheeled environmental disaster!! 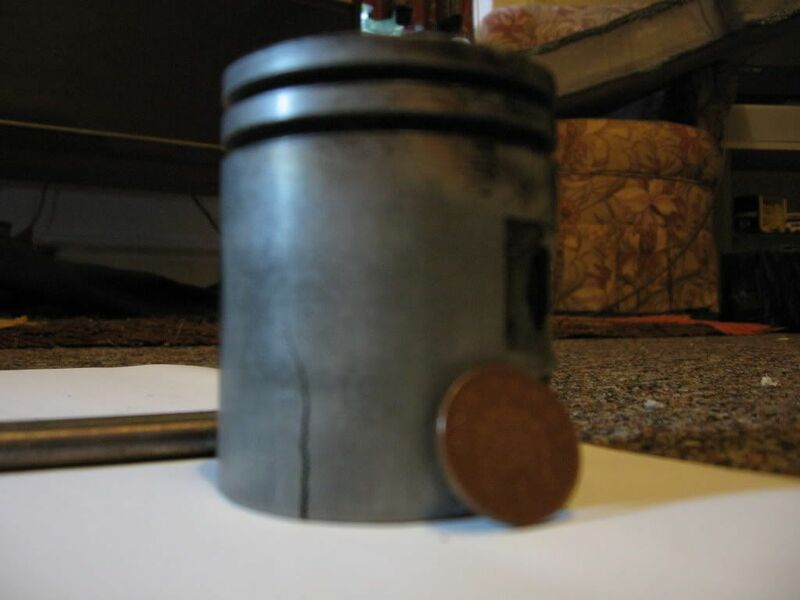 1) I've misplaced a gasket or a large metal washer or something that should go in where the exhaust screws into the cylinder block to make it airtight. 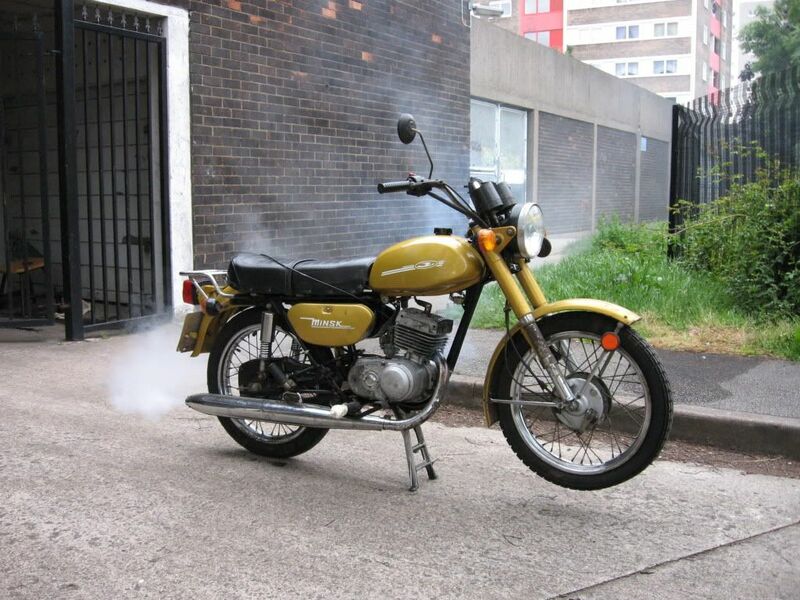 Without the gasket it spits out a very small, fine mist of unburned oil and smoke. 3) Disappointingly, none of the electrics seem to work apart from the horn (intermittently). Probably just a loose connection or plug somewhere & nothing serious.